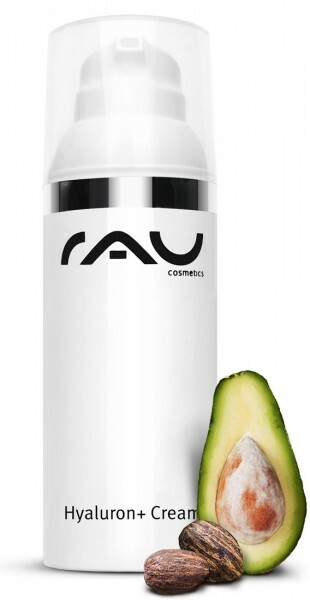 You will love the wonderfully creamy consistency of our "RAU Hyaluron Plus Cream" consisting of avocado oil, shea butter and squalane, as well as its fast skin absorption and wonderful scent. "RAU Hyaluron Plus Cream" moisturizes your skin intensively as well as protects and regenerates your body´s own hyaluronic acid. Different kinds of hyaluronic acids are perfectly coordinated and work together synergetically. Due to differently high molecular weights, these acids are able to get differently deep into your skin and, therefore, can optimize the hyaluronic acid household in several skin layers and bind water. UV filters protect your skin from aging caused by sun light. Application: Apply morning and evening to cleansed skin. Related links to "RAU Hyaluron + Cream 50 ml - Hydration & UV Protection"
Customer evaluation for "RAU Hyaluron + Cream 50 ml - Hydration & UV Protection"